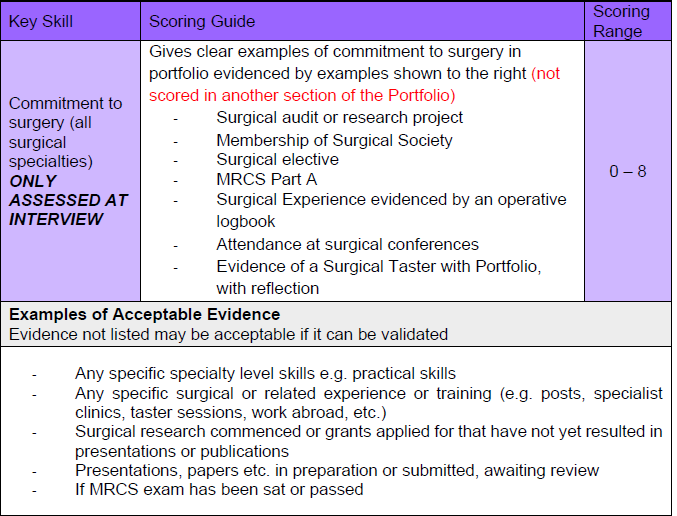 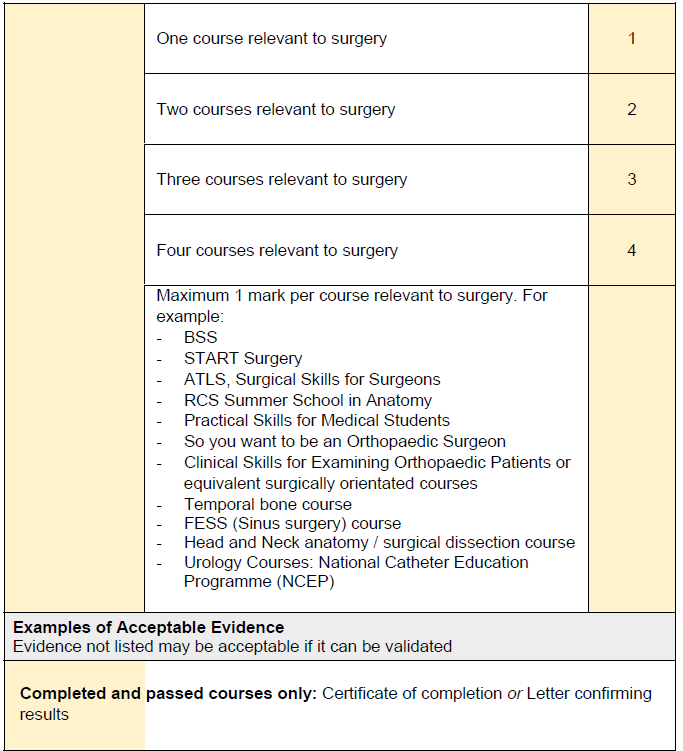 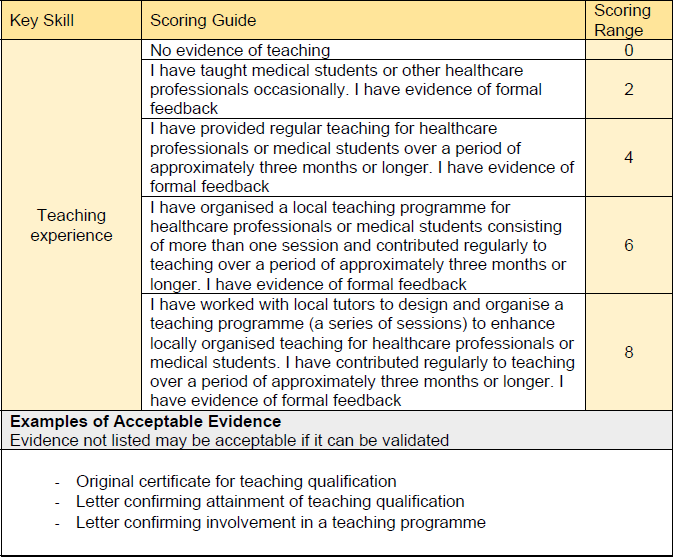 Candidates applying for the 2020 Core Surgical Training interviews have to complete a set of self-assessment questions during their application. 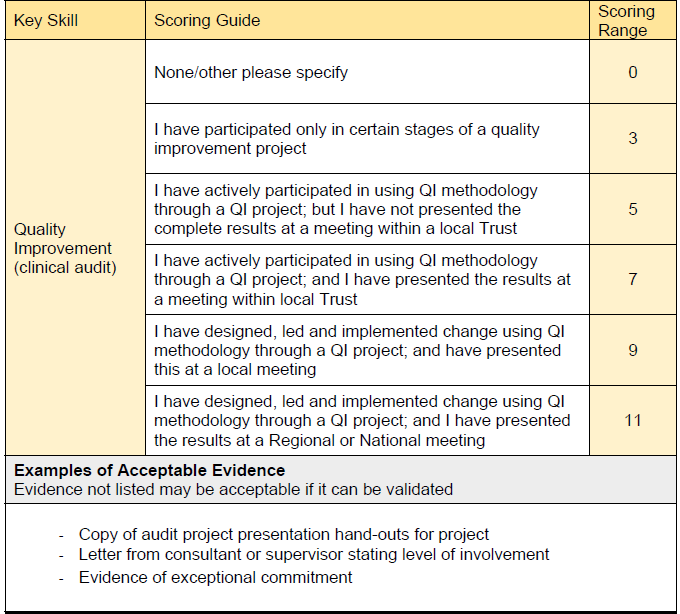 The answers you give to these questions are validated during the portfolio station on the interview day and make up a significant proportion of your overall interview score. 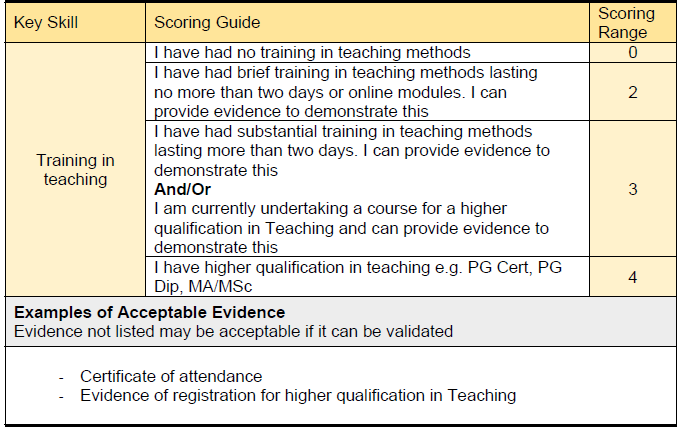 You have to provide evidence to support your answers for each question and can get referred to a probity panel if you are suspected of trying to mislead the interviewers with the evidence you have provided. 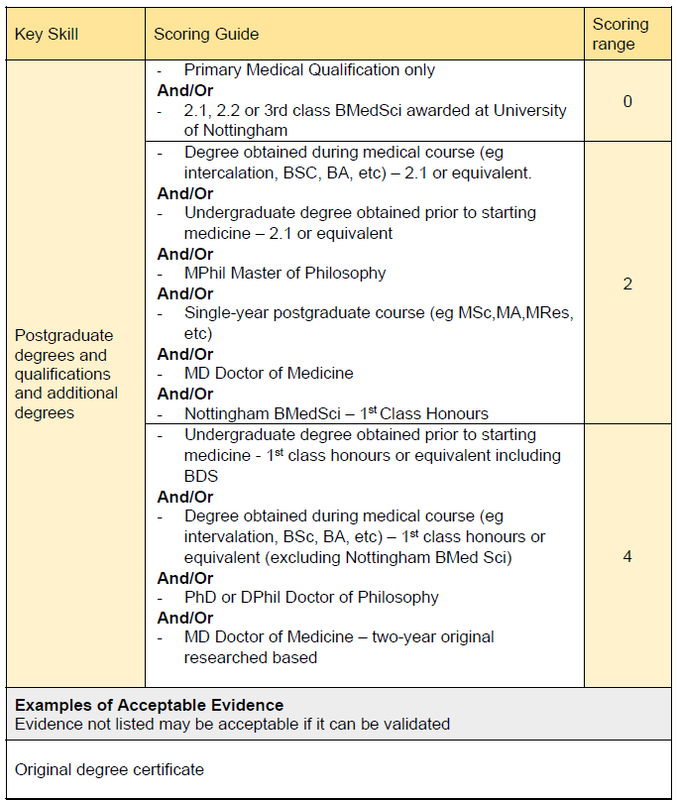 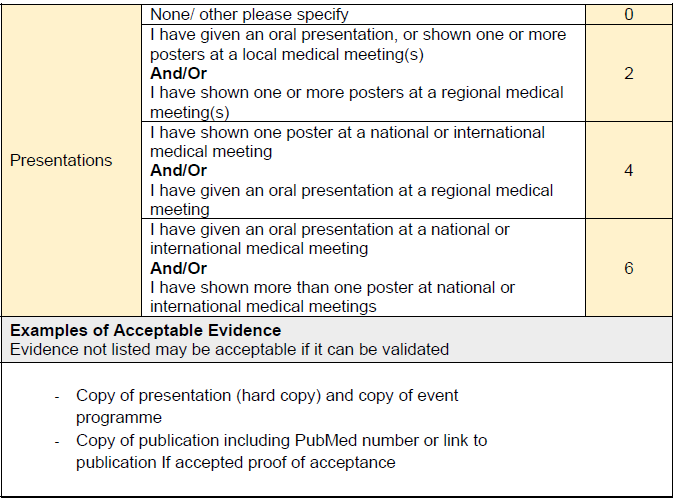 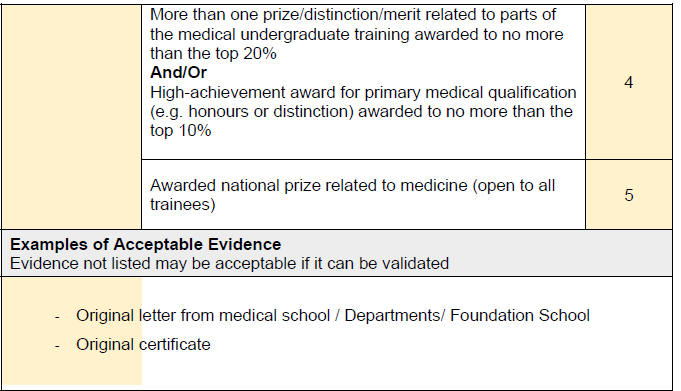 The questions, the responses you can select and the evidence accepted for each question (as of the 2019 application round) are shown below. 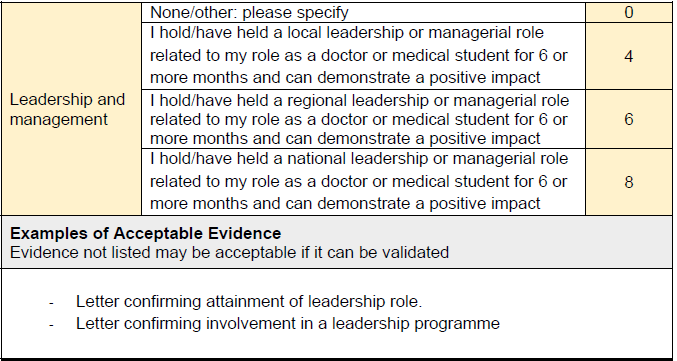 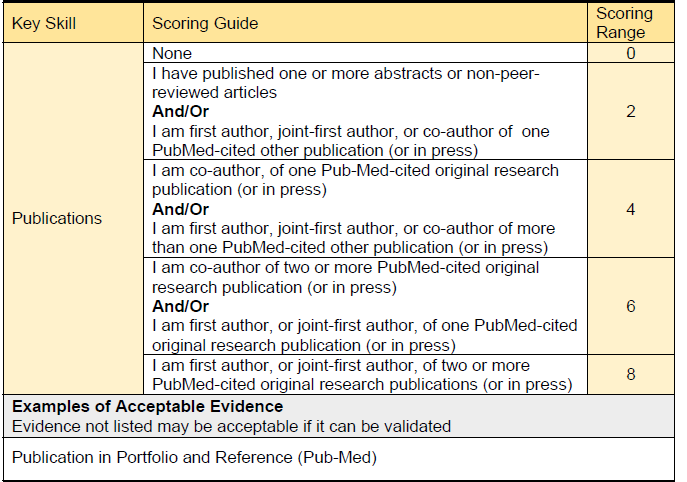 These are taken from the 2019 Self-Assessment and Portfolio Guidance for Candidates document.